Here we have yet another Hanson rebuild, they certainly got there moneys worth from their vehicles. My thanks to the HPTG websites Hanson section for the information regarding this bus. 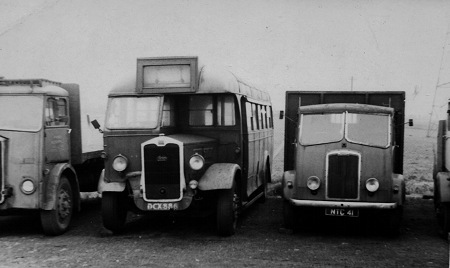 This vehicle was originally a 1948 AEC Regal 9621E321 with a Duple C32F half canopy body with the registration DVH 311 and a fleet number 243. In 1953 it was rebuilt by Plaxtons with a full fronted C33F body and was renumbered 322 in the fleet. 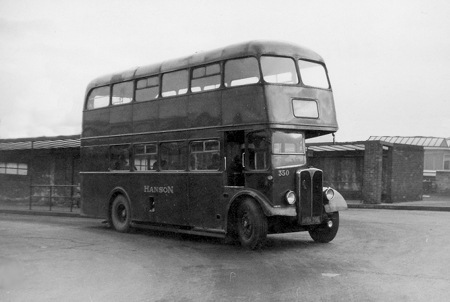 The final rebuild to a double decker came about in 1958 with a Roe H37/28R body and renumbered again this time to 350, this bus transferred to Huddersfield Corporation on the 1st of October 1969 when they bought out Hansons bus operations. I am not sure if it actually went into service with Huddersfield and if it did for how long, if you know please leave a comment. Thanks for that Eric it certainly looks like a nine to me I have corrected above. 350 was lucky to survive to Huddersfield Corporation days. In 1963 during a heavy snowfall it crashed through a wall in rural Helme into a field whilst working the Meltham-Huddersfield service. It ended up on it’s side straddling the wall. Considerable damage must have been caused and probably even more in the recovery proccess. However it was repaired and returned to service. 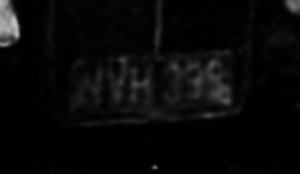 There is a picture of it on it’s side on P43 of P. Cardno and S. Harling’s book Hanson of Huddersfield & Their Neighbours. 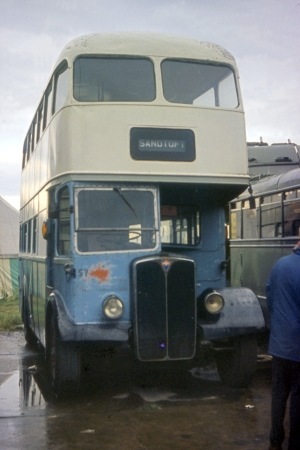 As a Huddersfield resident, these pictures bring back memories of an interesting local operator, who had a great capacity – in the manner often used in Yorkshire – of ‘cobbling together’ older chassis and rebodying them to get extra years of service from them. 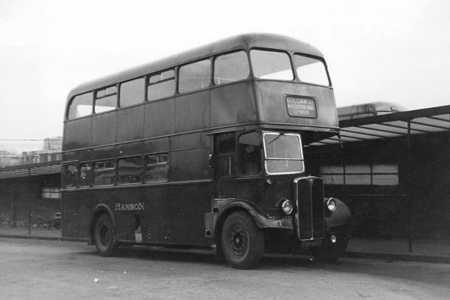 I rarely travelled on Hansons double deckers, but used to travel daily to school in the late 1960’s on their Regal rebuilds, to old ‘Tanks’. To be a passenger on one of them travelling up Lockwood Scar is an experience that was totally unforgettable. Just a shame that I have lost my photos of these wonderful vehicles in service.